Students and alumni using the resources at the Career Center increased by more than 50 percent between fall 2013 and spring 2016. The career center has seen a surge in the number of students and employers accessing its resources in recent years. Student and alumni use of the Center for Career Services has soared by more than 50 percent, while employer engagement grew by nearly 30 percent between fall 2013 and spring 2016. The career center’s top official said the University has made revamping the center a University-wide effort in recent years by beefing up staff and adding a host of new initiatives. Officials committed to overhauling the center through a career services advisory council in 2011 after a University task force recommended that schools’ individual career centers coordinate. Since 2011, staff at the center has more than doubled, according to a University self-study completed as part of its reaccreditation process. Rachel Brown, the assistant provost for University Career Services, said the University has been able to create “more specialized services and resources” following the overhaul and using support from officials. “Building on that synergy, energy and financial support, we were able to increase our team of career services experts who are innovative, energized and committed to helping students and alumni realize and advance their career and professional goals,” she said in an email. Brown was hired in 2013 to better prepare students for jobs beginning their freshman year, hire more career-focused staff members and increase networking with major businesses, officials said at the time. 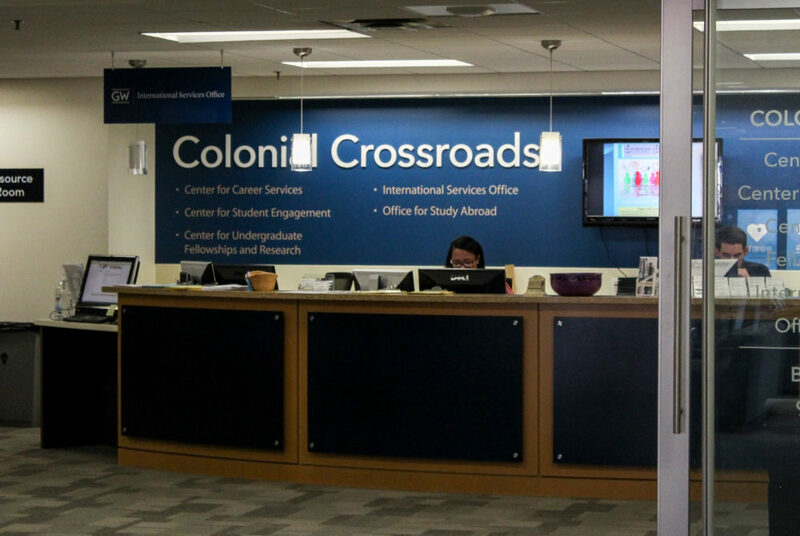 In 2015, officials said they began to see the positive results of the career services’ shake-up, as more students utilized the center. At the same time, major gifts began to flow to the center. Between 2013 and 2015, the center received more than $7 million in donations, including several large gifts. Brown said the donations allowed career services to expand its offerings to students, through programs like the Knowledge in Action Career Internship Fund, a scholarship for unpaid internships, and the Shenkman Career Service Fund, which provides money for “professional development opportunities,” like conferences to other cities. Officials conducting the Middle States self-study identified the career center as one of GW’s areas of strength in the draft of the report released last month. The increase in career center usage also comes as officials said last month that up to 70 percent of students were not showing up for employer events, hurting GW’s reputation as a recruitment hub. Experts from peer university career centers said the increase may be a result of easier access to resources and services, increased efforts the center has made to engage students or that students are simply more interested in seeking help about their career prospects. Other universities, like Washington University in St. Louis and the University of Rochester, have seen similar increases in students seeking career help, officials at the schools said. Joe Testani, the executive director and assistant dean for University of Rochester’s career center, said increasing awareness of career resources and engaging students early on in their college experience can boost student interaction with a center. “In a theoretical claim, if we’re engaged with students over the course of four years, they’re more ready to talk about what they’re doing, they’re better prepared for navigating what those things are,” Testani said. Nancy Nigh, a spokeswoman for the Washington University in St. Louis, said students might be optimizing their resources at career centers because they want to ensure their investment in a university will pay off. “There might be more pressure to make sure the career center is doing everything they can to get students to work on their own outcomes,” she said. Nigh said as more students seek career help, employers also increase their work with the center to attract top talent. Employers expect to engage with students with a clear idea of their career path after graduation and utilize the center to better understand these paths, she said. “For the employer, it’s definitely about their return on investment,” she said. Gary Miller, the director for career services at the University of North Carolina at Chapel Hill, said the rise could be a reflection of the the career center specializing their offerings to students from different backgrounds.